Multivitamins aren't all they're cracked up to be, but they can help if you're deficient in certain vitamins or minerals. Supplement companies are getting better at targeting their multivitamins towards certain populations. For example, some multivitamins add caffeine to weight-loss formulas to boost metabolism. The GNC Women's Ultra Mega line has various options, whether your goal is to enhance performance, burn fat or simply stay healthy as you age. As the flagship multivitamin in GNC's line of multivitamins for women, this supplement covers all the basics. It has 100 percent of the daily value of 21 different vitamins and minerals, according to GNC's website and a specially formulated blend of antioxidants, which can help reduce cell damage from free radicals. Antioxidants might not be as useful as once thought, however. For example, an article from the National Cancer Institute explains that they're probably ineffective at preventing or improving cancer. These multivitamins contain biotin, which can improve your hair, skin and nails. There's some evidence that it can make your nails thicker and stronger, according to an article from the National Institutes of Health Office of Dietary Supplements. It also contains calcium, which supports bone health, and vitamins and minerals to boost your immune system. This GNC multivitamin comes in pill form and, for those who have trouble swallowing pills, chewable gummy form. This vitamin has a similar profile to the standard GNC Women's Ultra Mega. There are two key additions, however, that make it tailored for women 50 and over. It contains a blend of calcium and vitamin D for bone health. Vitamin D helps bones use and absorb calcium, which is important because bone density slowly declines with age. These vitamins also contain lutein to keep your skin hydrated, according to GNC's website, and hyaluronic acid, which can help maintain the elasticity of skin. Read More: Why Are Vitamins Important to Your Body? It's possible that neither iron nor iodine agrees with your body. If you're trying to correct an iron deficiency, it's not uncommon to experience digestive problems, according to an article from the Linus Pauling Institute. Although it's rare, you might be genetically predisposed to accumulate iron in your body, in which case taking an iron supplement could be harmful. Check with your doctor first. Low levels of iodine can cause hypothyroidism, where your thyroid doesn't produce enough hormones. If you have hypothyroidism, taking an iodine supplement may not help, and, according to the Mayo Clinic, can actually make things worse. If you suffer from this condition, it's best to avoid this supplement. Most multivitamins have iron, iodine or both. This multivitamin from GNC has neither, so you can take it if you're sensitive to either. If you can't take iron, but can take iodine, you may consider the Women's Ultra Mega vitamin that comes without iron. This multivitamin is geared toward active women. It's missing some of the ingredients that the regular Women's Ultra Mega Active multivitamin contains, but it has one ingredient specifically geared toward sports performance: betaine. This supplement comes from beetroot and is purported to increase your endurance during exercise, although the evidence is limited. You can get this vitamin without iron if it upsets your stomach. If you're looking to burn fat and boost your energy levels, you should try this variation of the Women's Ultra Mega. It contains 137 milligrams of a caffeine blend, which boosts your metabolism and gives you energy to get moving. An article from Johns Hopkins Medicine, which looked at multivitamin research, concluded that there's not much benefit to taking multivitamins. Instead, it streses the importance of making changes to your diet if you want to be healthier. Reducing saturated fat, trans fat, sodium and sugar will help you avoid health problems like obesity and diabetes, according to the article. Maintaining a healthy weight is also important. Supplements are simply the icing on the cake and may not be necessary at all. Johns Hopkins Medicine: Is There Really Any Benefit to Multivitamins? Mayo Clinic: Hypothyroidism: Should I Take Iodine Supplements? What Are the Benefits of Centrum Multivitamin? 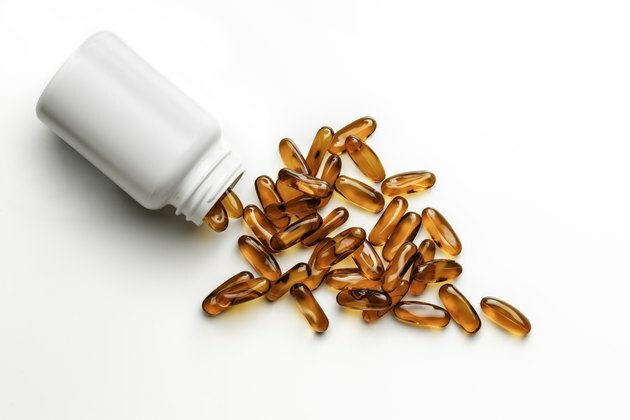 Do Iron Pills Stimulate Hair Growth in Women?